Luca di Montezemolo has played down rumours linking Lotus' newly departed technical director James Allison with a move to Ferrari. Lotus announced on Wednesday that the highly-rated 45-year-old Briton, who worked at Maranello in the Michael Schumacher era, is leaving. Reports immediately linked Allison with a return to Ferrari. "I know nothing," Italian reports quote Ferrari president Montezemolo as saying, "so I cannot deny anything. "As far as I know, these are just rumours. I will say something if there is something to say." Italy's Autosprint said Allison's next paddock destination is unlikely to be known for at least six months, the standard 'gardening leave' period. Ferrari aside, "another possibility (for Allison) is a change to Williams," wrote Tobias Gruner in Germany's Auto Motor und Sport. 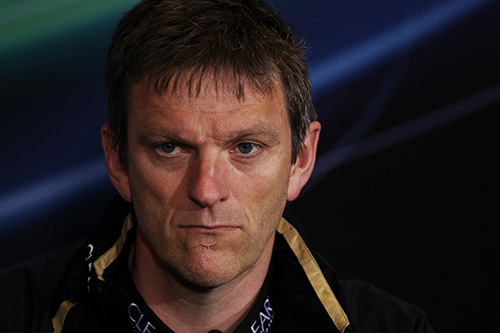 Autosprint's Alberto Antonini commented: "James Allison wanted better financial conditions, which Lotus could not provide."